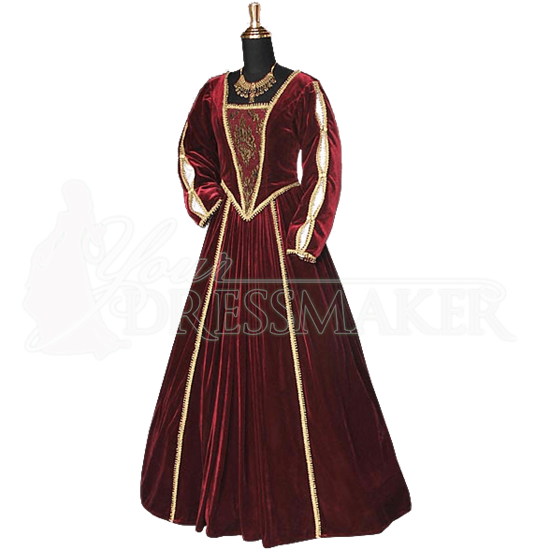 Made from lush, heavy royal velvet with a low sheen for a refined look, the Red and Gold Tudor Dress is fit for the most regal occasions. This handmade dress features a historic inspired design with details trimmed in golden ribbon. The fitted bodice is decorated with a panel of damask patterned brocade and can be adjusted by lace-up detail on the back. Its long, fitted sleeves feature a distinct volume and a slashed design that reveals a white inner lining. 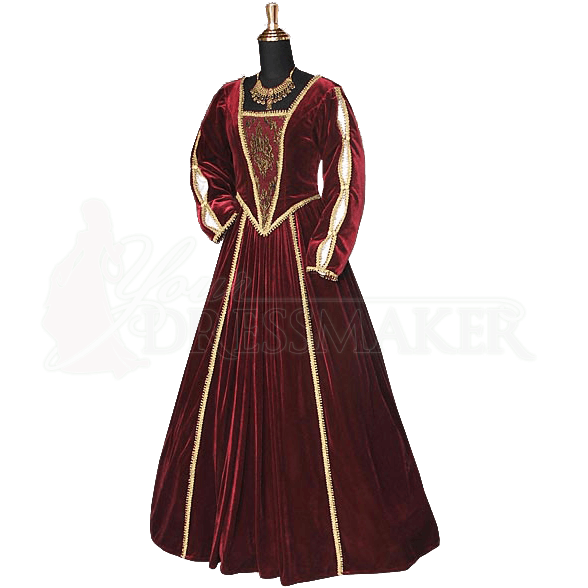 Wear the Red and Gold Tudor Dress whenever you need to make a royal appearance at your next Renaissance festival or historic reenactment event, and showcase the artful gathering and extravagant material of the skirt by wearing an A-line petticoat underneath, sold separately. 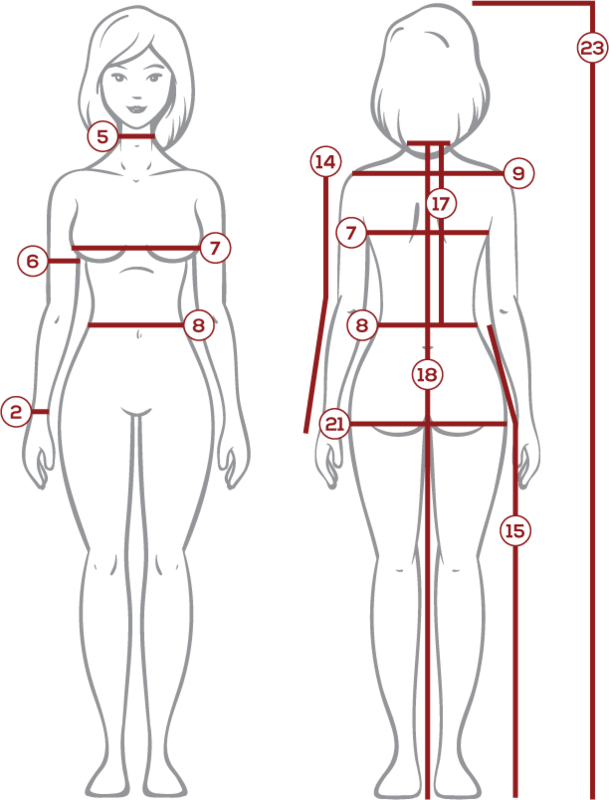 Necklace not included.